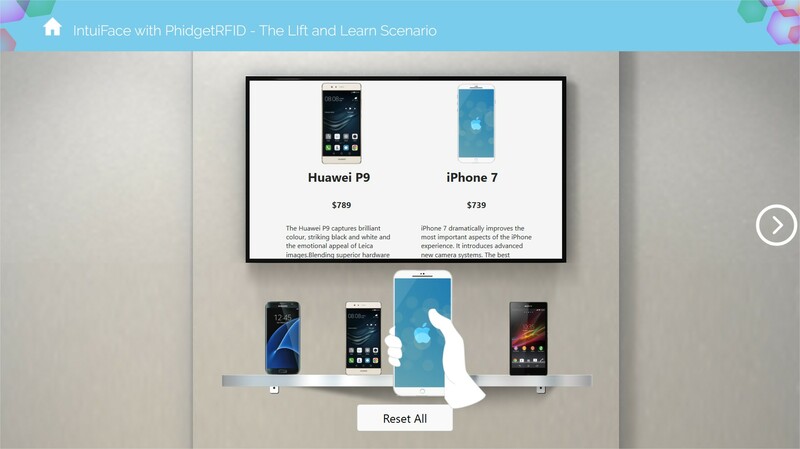 This article explains the different scenarios addressed in the Exploring RFID Technology sample experience available for free in the Intuiface Marketplace. 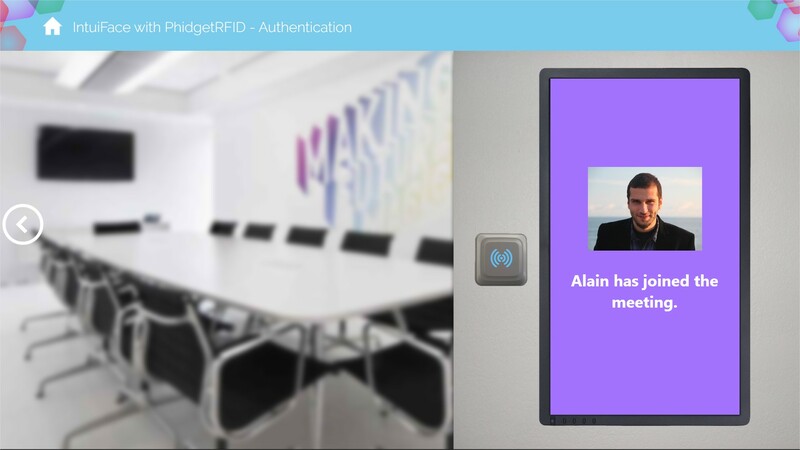 This sample can simulate RFID reader use or work with the Phidgets RFID Interface Asset. 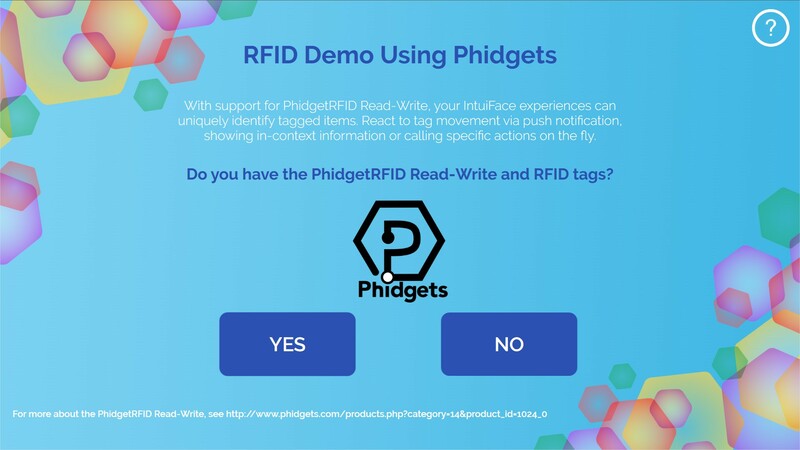 If you'll be using PhidgetsRFID readers, the following video illustrates how to setup them up and use them in the sample's "lift and learn" scenario. This retail scenario is based on the following setup: Several readers are positioned on a shelf with RFID tagged items placed on each one. When a user picks up an item, some information about the item is displayed on a screen. If the user picks up more than one item, he can compare all of the items currently lifted. 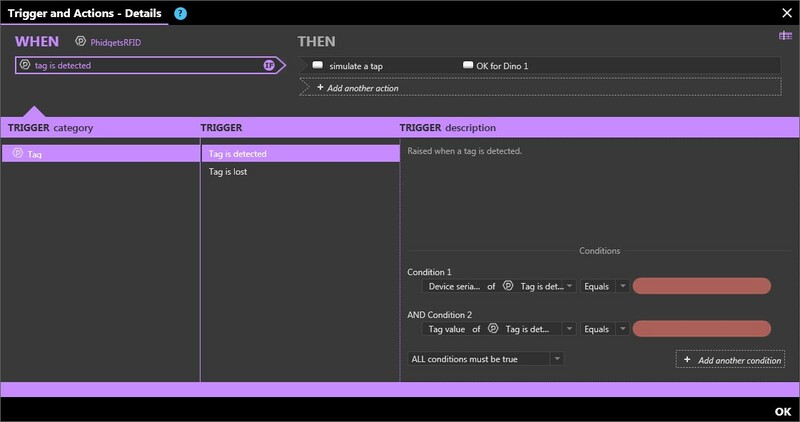 The Tag is detected trigger is used with a condition on the Tag value property to change the content visible on the scene. An Excel file is used as the "product database" and makes the link between an RFID tag value and product information. 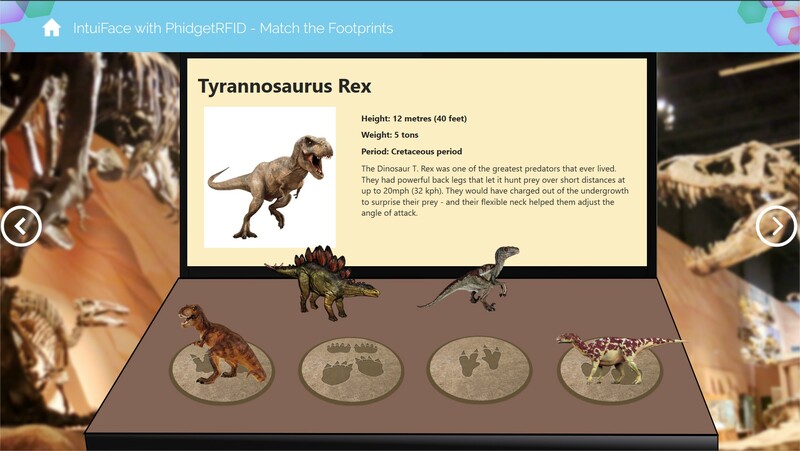 This museum scenario is an educational game asking the user to put the proper RFID tagged object on the proper reader. The Tag is detected trigger is used with two conditions to make sure the correct Tag value has been detected by the correct Device Serial Number. This corporate scenario uses only one reader to identify someone who is entering a meeting room. An Excel file is used as the "user database" for illustration.